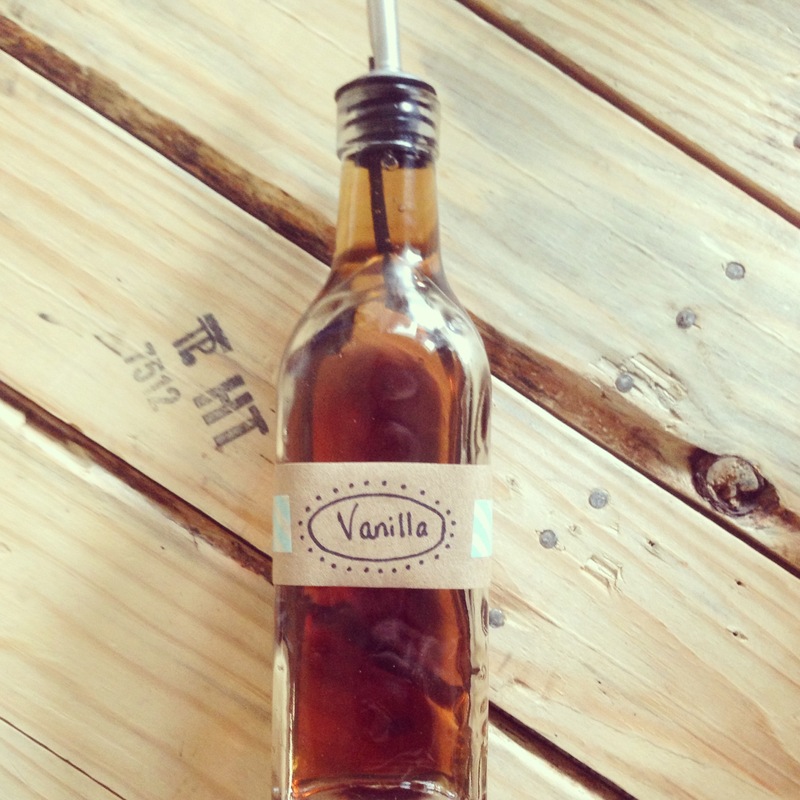 I love all things vanilla! 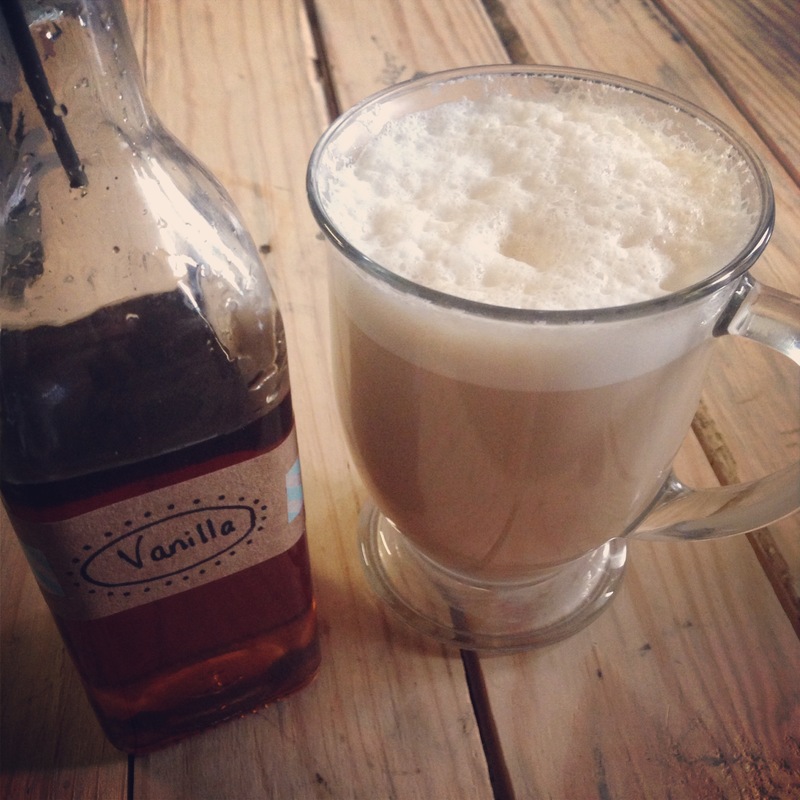 How could you not like vanilla? It’s the flavor that I choose most often when it comes to making scones, cake, cookies, pudding, and coffee! 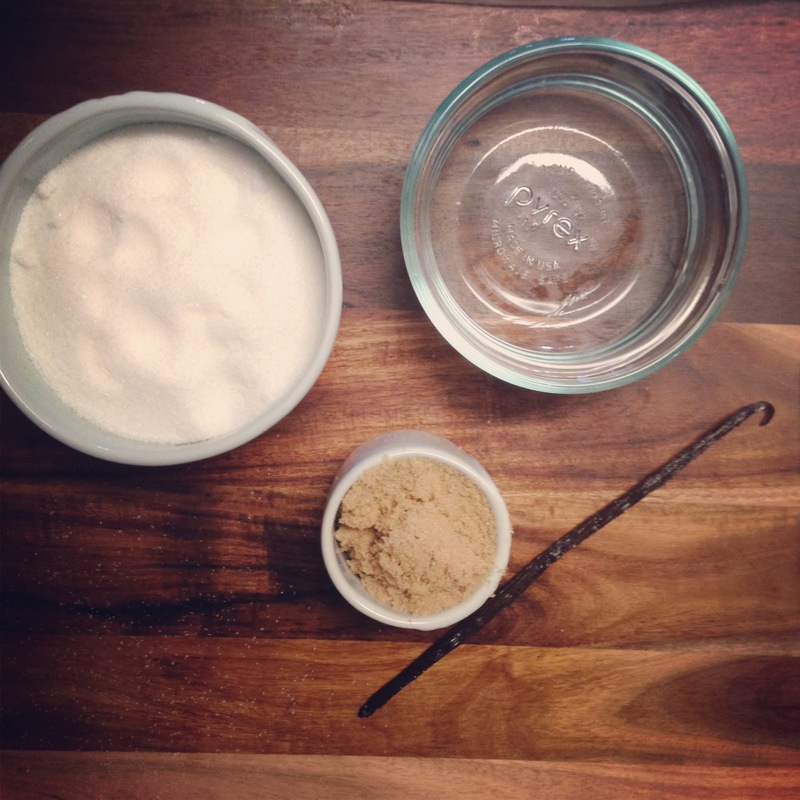 If you frequently use vanilla beans for baking, save the empty pods for this easy coffee syrup recipe! To sterilize your dispenser bottle, wash it with soap and hot water. 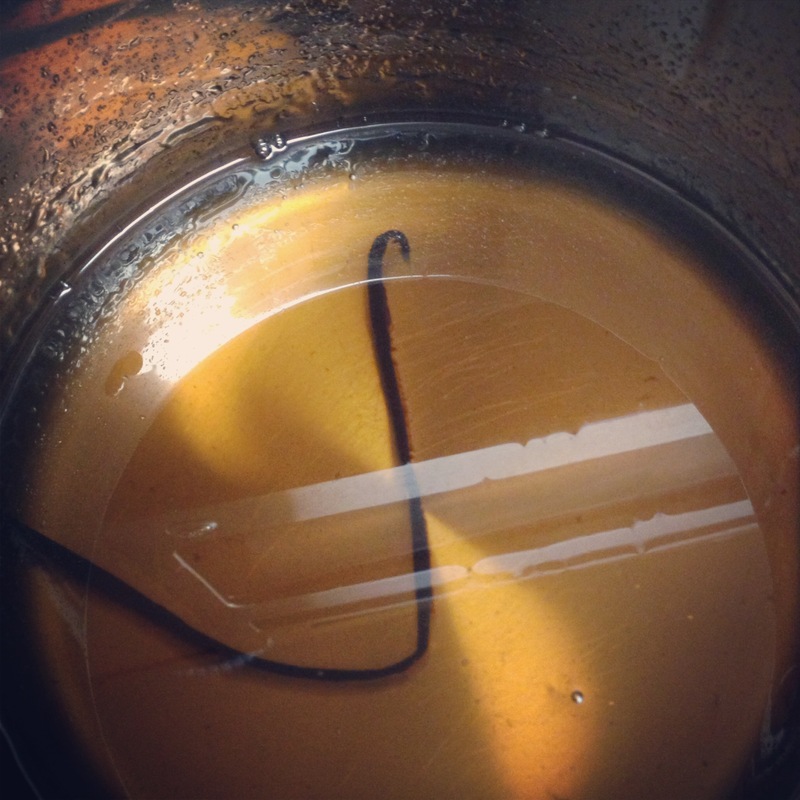 In a saucepan, add water, sugar, and the vanilla bean pod (if you’re using vanilla extract, don’t add that yet). Bring to a boil, then lower the heat and simmer until the syrup has reduced down to about half of the amount you started with (10-15 minutes). Remove from heat and allow to cool (then stir in vanilla extract). Use a funnel (or measuring cup with a pouring spout) to pour cooled syrup into your bottle. Use to flavor hot or iced coffee. Store the finished syrup in the refrigerator, it should last for several weeks (keep in mind that this recipe is easily cut in half, if you don’t use coffee syrup very often). I used craft paper and washi tape to make a label for the bottle. This syrup would make a cute little gift!